Under the support of both Chinesse and French governement, this Sino-French MBA programe by UIBE was estabished in 1991, and was one of the earliest joint MBA programs in China. Courses at University Paris I (Sorbonne University) and given by the world-class professors enable students to experience French culture, to be part of an international alumni network, and to enhance professional competitiveness. Cooperation between prestigious universities in France and China guarantees the program’s high quality. Graduates with a bachelor’s degree. Note : Junior college (three-year schooling) graduates without bachelor’s degree can apply, provided they have at least 5 years’ working experience.The acceptance of their application will be assessed by the selection committec. Where to have class ? Uniersity of International Business and Economics, Paris I , Enterprise Mobile Classroom. 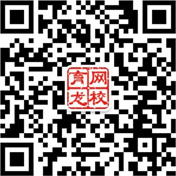 入学考试形式？What kind of exams ? A test in English similar to GMAT is arranged by IFCM. Note: Candidates who get more than 550 in GMAT can apply for the test exemption. An admission committee comprising Chinese and French professors and corporate representatives will evaluate the applicant’s working experience and career potential. The interview is conducted in English. How to apply the program? What application materials you need provide? What subjects do we offer ?